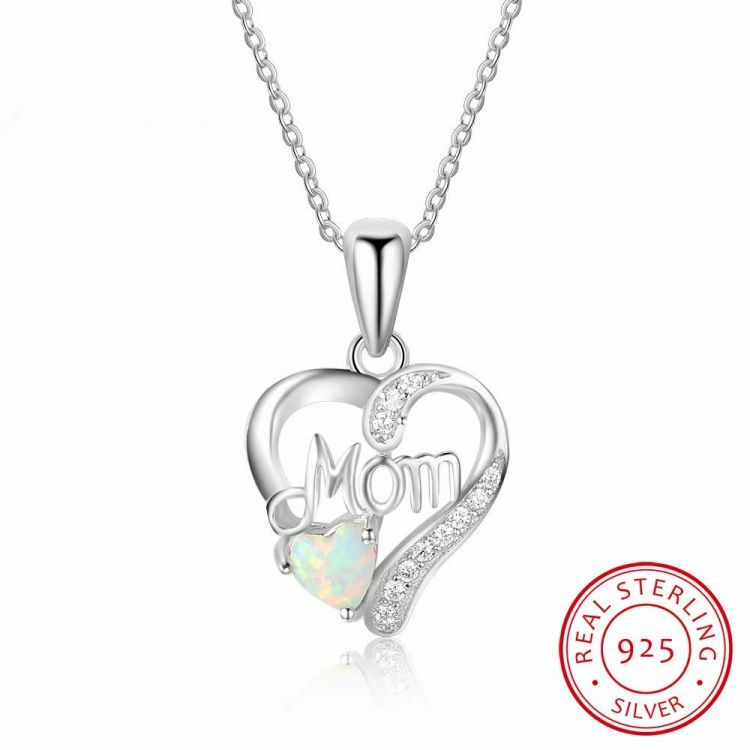 Sterling Silver Opal Heart Mom Necklace. Looking for a perfect gift for your Mother? Surprise her with this elegant Mom Necklace. The Pendant is decorated with a striking white Opal and dazzling Cubic Zirconia stones. Crafted in sterling silver, this exquisite necklace is a gift she will truly appreciate and treasure.